In order to meet the protein intake requirements and maximize workouts, you can take regularly any of the best protein powders presented below. Exercise and weightlifting is something that can use to transform your overall appearance and physique. Many people use this practice in order to maintain good health, but not everyone knows how important diet is when it comes to making strength gains and improvements. What you put into your body before and after working out makes a huge difference and can make or break your goals. One of the most essential nutrients that you need to consume if you work out regularly is protein. Protein is the building block of your muscles and without enough of it, your body cannot fully recover following an intense workout. While protein is found in many different dishes of which you probably already consume, you still may not be getting enough. You should intake somewhere around 0.8 grams of protein per kilogram of body weight. To put this into perspective, someone who weighs 140 pounds would need about 50.8 grams of protein per day. Think this is unachievable? Think again. It’s really hard to reach this limit from plain food. But by using protein powder, you can easily meet these requirements and maximize your workouts. 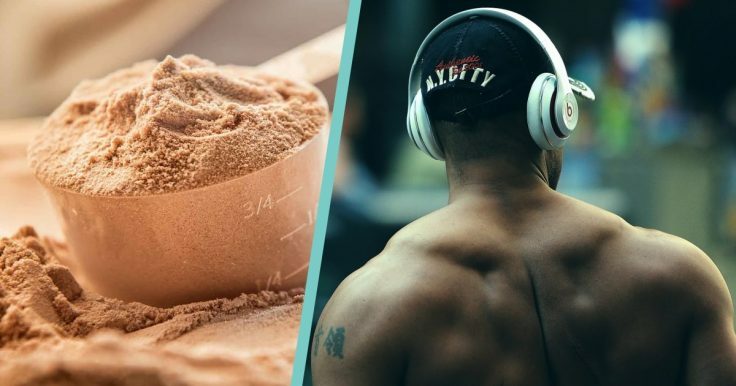 With all that being said, let’s take a look at the seven best protein powders that you can choose from to get the most out of your workout. This type of protein is derived from the liquid part that forms when milk is being produced into cheese. Whey protein has many great benefits to offer and is a popular choice among gym enthusiasts. It will not only supply you with a hefty dose of protein, but it is also rich in branched-chain amino acids. Branched-chain amino acids, also known as BCAA’s, are another essential building block of muscles. BCAA’s have antioxidant effects on the body as well, making them good for your overall health and well-being. Final Thoughts: Whey protein is a good choice for anyone looking to lose weight, get lean, or add on muscle. It has a variety of benefits and you really can’t go wrong with it. Egg white protein is another viable option when it comes to choosing protein powder. As you may already know, eggs are foods relatively high in protein. Eating eggs the traditional way is going to give you a good dose of protein, but it is pretty high in fat. Some gym enthusiasts want to get the benefits of eggs without consuming a high amount of fat that would throw off their diet. This leads them to either consuming egg whites or even better – egg white protein. Egg white protein has a low-fat content and is super high in protein. Taking egg whites in protein powder form allows for less preparation time and also helps them to digest more rapidly. Final Thoughts: Egg white protein is another great option for individuals looking to increase their protein intake. It is also a great source of Vitamins and Minerals as well as amino acids. Another type of protein powder that is seriously worth considering is Glutamine protein powder. Glutamine itself is an amino acid and, as discussed before, these are very useful for promoting muscle growth and general wellness. Out of all the amino acids in the body, Glutamine is the most abundant. It is considered to do things in the body such as promote healthy immune function, assist digestive function, and oddly enough, help manage stress. Final Thoughts: Glutamine powder is great for anyone in need of added protein in their diet. It is especially useful for those suffering from ADHD or alcohol withdrawal, as it has been deemed useful in treating those things. Rice has the stereotype among the gym-goers as being a great source of carbohydrates. Carbohydrates are useful for those who are trying to gain muscle and bulk up, making rice a popular dish to include in diet plans. Rice is not only high in carbs but relatively high in protein as well. When combined with a special enzyme, the protein in rice can be detached and contained into a powder form, thus leaving what is called rice protein. Final thoughts: Rice protein is going to provide a good source of protein. It is also vegan which opens up the range of consumers who might consider using it. A product that has a lot of popularity among bodybuilders and those seeking muscle gains is casein protein powder. One benefit to note is that casein protein contains something called bioactive peptides which have shown to improve digestive and immune systems along with lowering blood pressure and reducing the risk of blood clots. Compared to whey, casein digests much slower in the body. This results in a longer duration of protein absorption, although at a lower rate. This doesn’t necessarily mean that it is a better choice than whey, as they each have their own benefits. Final Thoughts: Casein is a good choice for those who like to take their protein at night, rather than following their workout. Soy protein powder is another product available which can help you achieve your protein goals more readily. It is derived from soy and has many benefits for your health. Interestingly enough, soy has been shown to specifically enhance the health and well-being of children, as well as pregnant women. Soy protein is very low in fat, making it another viable choice to consider. Final Thoughts: Soy protein typically contains all 9 of the naturally occurring amino acids. It is also vegan-friendly. Our final product to discuss is mixed plant proteins. These types of products are those which contain protein derived from a multitude of different plant-based foods. The most obvious reason one would choose this is that it fits a vegan diet, which seems to be a growing trend. Another reason to consider this type of protein is that it is low in fat and contains tons of healthy vitamins, minerals, and antioxidants – seeing as though it is all natural. Final Thoughts: Mixed plant proteins are usually composed of one or more of the following seeds: sunflower, hemp, chia, flax. Hopefully, reading this article has given you some insight as to what the best choices of protein powders are for you. Each of these protein products has its own unique benefits as discussed, although they all are great choices for optimizing your workout. Once again, protein is an essential part of recovering from exercise and muscle training, so be sure to get enough of it.